Home News New Kong Skull Island 6″ Pop! Vinyl to be released in January! 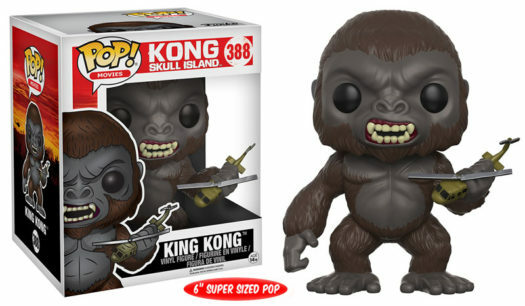 New Kong Skull Island 6″ Pop! Vinyl to be released in January! Kong: Skull Island is set to premiere in March of 2017 and of course just ahead of the movie’s release there’s at least one Pop that will be released. The new Pop is 6″ tall, retails for $14.99 each and will be released in January at your favorite Funko retailer. Click on the link or photo below to pre-order the new Kong Pop today. Previous articleNew Gamestop Exclusive Star Trek Phasing Spock Dorbz Released! Next articlePreviews of the new John Wick Chapter 2 Regular and Chase Pop! Vinyls!